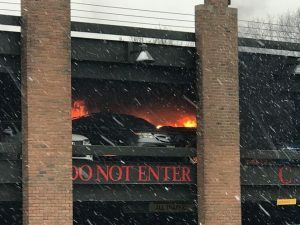 On March second, truck 241 responded along with Oakland and Franklin Lakes to the BD complex for a report of a car fire. 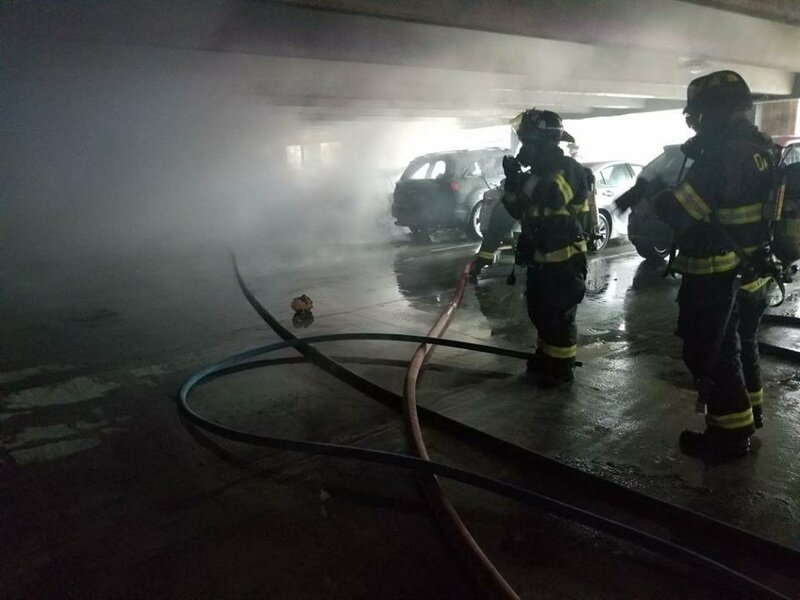 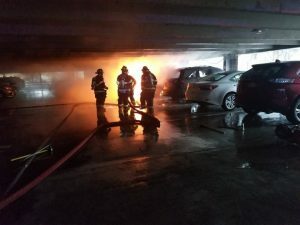 On scene units found a multi-vehicle fire in an outdoor parking garage. 241 assisted Franklin Lakes in stretching lines, knocking the fire, and performing overhaul.